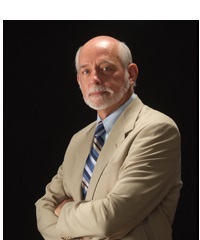 Russell A. Barkley, Ph.D., is a Clinical Professor of Psychiatry at the Virginia Treatment Center for Children and Virginia Commonwealth University Medical Center, Richmond, VA. He is a Diplomate (board certified) in three specialties, Clinical Psychology (ABPP), Clinical Child and Adolescent Psychology, and Clinical Neuropsychology (ABCN, ABPP). Dr. Barkley is a clinical scientist, educator, and practitioner who has published 23 books, rating scales, and clinical manuals numbering 41 editions. 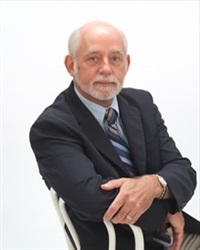 He has also published more than 270 scientific articles and book chapters related to the nature, assessment, and treatment of ADHD and related disorders and is the author of the book Managing ADHD in School (PESI, 2016). He is the founder and editor of the bimonthly clinical newsletter, The ADHD Report, now in its 25th year of publication. Dr. Barkley has presented more than 800 invited addresses internationally and appeared on nationally televised programs such as 60 Minutes, the Today Show, Good Morning America, CBS Sunday Morning, CNN, and many other programs on behalf of those with ADHD. 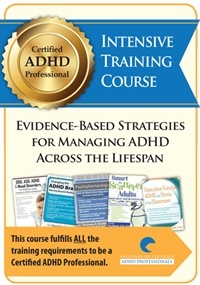 He has received awards from the American Psychological Association, American Academy of Pediatrics, American Board of Professional Psychology, Association for the Advancement of Applied and Preventive Psychology, American Professional Society for ADHD and Related Disorders, New England Educational Institute, the Wisconsin Psychological Association, and Children and Adults with ADHD (CHADD) for his career accomplishments, contributions to research in ADHD, to clinical practice, and for the dissemination of science. Financial: Dr. Russell Barkley is employed by the Medical University of South Carolina. He is on the speaker’s bureau for Eli Lilly and receives compensation. He has an advisory board relationship with Theravance and receives compensation. He is an author for Guilford Press and receives royalties. He is an author for Jones and Bartlett Publishers and receives royalties. He is a speaker for J&K Seminar and receives royalties. He is a speaker for PsychContinuingEd.com and receives royalties. He is a speaker for ContinuingEdCourse.com and receives royalties. He is a speaker who receives an honorarium for PESI, Inc. Non-Financial: Dr. Russell Barkley has no relevant non-financial relationship to disclose.